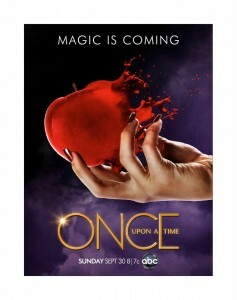 We are approaching September 30, the premiere of ABC’s Once Upon a Time: Season Two. During the premiere, Ginnifier “Ginny” Goodwin (Snow White/ Mary Margaret) will be doing a live tweet chat. Ginny Goodwin’s twitter handle is @ginnygoodwin. Be sure to check her out during the show and ask many questions! To join the discussion, make sure to add #OnceUponaTime to your tweets regarding the show.